One of Harry's wealthy clients, Mrs. Whitmark, asks him to hire a diamond cutter to cut a massive diamond in an obsure, quiet place, taking away its curse. Harry offers Lucy's house for the job. 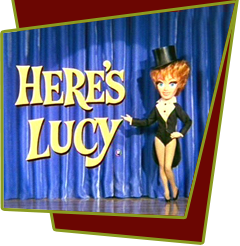 Lucy hires Gustav Vandemeer (Wally Cox), who's nerves are shot by all the action he finds there, and winds up breaking nearly every bone in his body. It's up to Harry to make the unsurest cut of all to the diamond. Special Notes: During blocking rehearsals for this episode, Ruth McDevitt (Mrs. Whitmark) who was elderly at this time, had trouble standing in the place in which the Director wanted her to stand. After several attempts to do this and failing, Lucille Ball went over to Ruth and kicked her foot attempting to move her into place. Ruth fell to the floor screaming with pain. It was at this point that the Director, Herbert Kenwith decided that if his friendship with Lucille was going to survive, he would no longer be able to direct any of her shows.